Berta Jo (Fox) Carl, age 75, of Osceola, MO, passed away at her home on Tuesday, February 12, 2013. She was born September 7, 1937, at Schell City, MO, the daughter of Joseph Fox and Irene (Leak) Fox of the Schell City/Harwood area. Berta married Jack Donald Carl on June 9, 1958. They were married for almost 51 years before Jack’s passing in January, 2009. To their union four children were born. They also had one adopted child and one foster child. Berta worked at Rival in Clinton, MO, for many years and then at Wal-Mart until 2008 when her health became bad. She then became a stay at home housewife. Preceding Berta in death was her husband Jack Carl; her parents; one sister Mary Collins; and two grandsons: Zack Palmer of Clinton, MO, and Billy Carl of Arlington, TX. Survivors include five children: Bill Carl and wife Lisa of Clinton, MO; John Carl and wife Beth of Gillette, WY; Joe Carl of Osceola, MO; Laura (Carl) Self and husband James of Osceola, MO; and Victoria Carl of Osceola, MO; numerous grandchildren and great-grandchildren; two brothers: Robert Fox and wife Otilla of Harwood, MO; and Jack Fox and wife Bev of Milo, MO; two sisters: Ann Keeton of Harwood, MO; and Wanda Phillips and husband Roger of Marionville, MO; and lots of nieces and nephews. She also liked her Bingo. She would not miss a night of Bingo if she could keep from it. The family had to plan get togethers and birthday parties around her Bingo schedule if they wanted her there. She just knew she was going to win the next big pot, but all together, of course, she lost more than she ever won. Berta loved each and every one of her family members and she talked about them often. She got to go three weeks ago to see her son Joe, who she had not seen for a while. It meant so much to her to go and surprise him and spend the day with him. She was one of the best mothers, grandmothers, and great-grandmothers and she will be deeply missed. 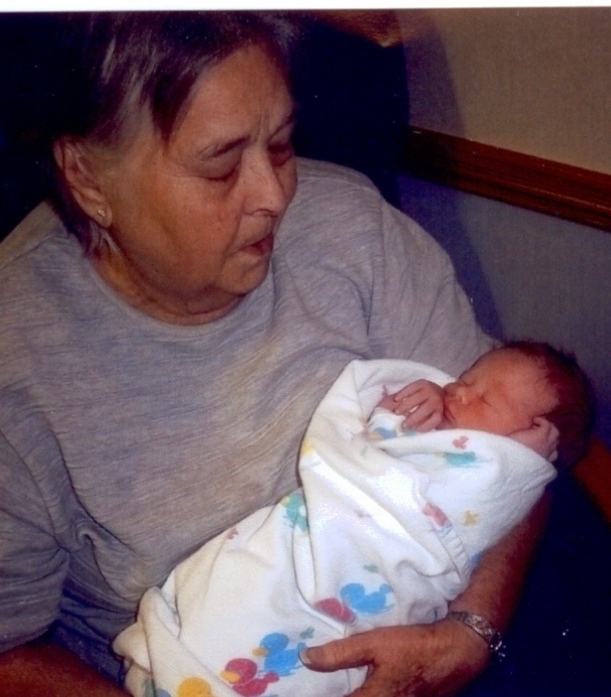 Funeral services for Berta Jo Carl were held on Saturday, February 16, 2013, at 1:00 p.m. at Bland-Hackleman Funeral Home with Robert Fox officiating. Final disposition was inurnment under the direction of Bland-Hackleman Funeral Home.